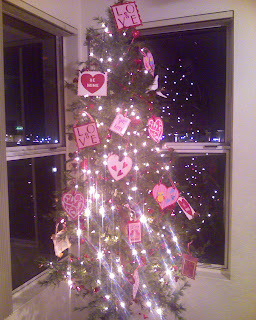 Last I reported on the progress of the Valentine's tree, I had created large heart-shaped ornaments but apparently not enough. It still needed to have some holes filled here and there. 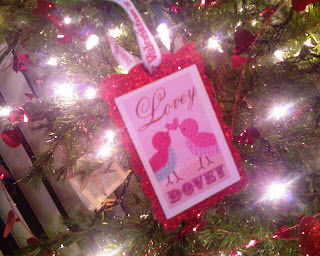 Valentine's is quickly approaching in a week, and I knew I had to get this project done pronto. I had picked up a printed scrapbook paper with Valentine postage stamp like designs, a bunch of them. I cut each one out individually, matted each onto a different cardstock, punched a hole at the top and slipped ribbon through. 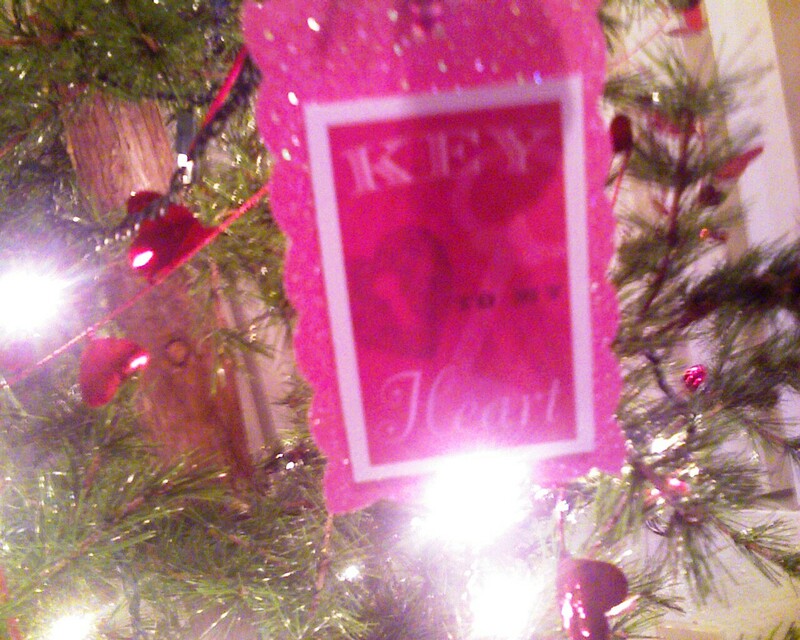 I added the ornaments to the tree, and finito. 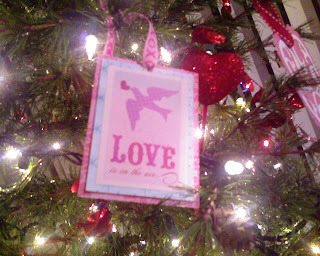 It doesn't have nearly as many ornaments as I had hoped, but it still makes a fun and beautiful first Valentine's tree. Next year I plan on adding pink glitter poly mesh (like the one in the picture below) draped around the tree to make it look more lush, glamorous and plentiful. 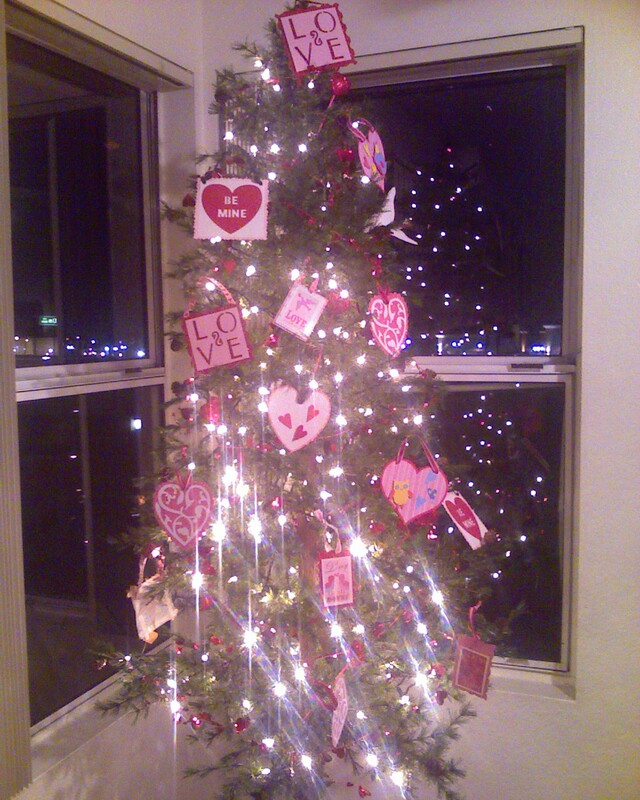 For 2011, this is our Valentine's tree.